A [PDF version of this transcript] appears in the December 23, 2016 issue of Executive Intelligence Review. and is re-published here with permission. Excerpts from the December 17, 2016 Manhattan Project in Dialogue, with Helga Zepp-LaRouche, founder of the international Schiller Institutes, and Megan Beets, member of the LaRouche PAC Policy Committee. Dennis Speed: On behalf of the LaRouche Political Action Committee I’d like to welcome everybody here today. My name is Dennis Speed. And despite the various forms of scare tactics underway, including around this meeting, we’re going ahead. Man can think a poem and write it. He can think a symphony and compose it. He can think of a great civilization and produce it. . . . He can be a Handel moving into the highest heavens and transcribing the glad thunders and gentle sightings of the great Messiah. By his ability to reason, by his power and memory and his gift of imagination, man transcends time and space. As marvelous as are the stars, as great as is Handel’s Messiah, is the mind of the man that studies them. That statement pretty well summarizes, I think, the actual orientation we take to what people often call “politics.” Many years ago, Lyndon LaRouche wrote an article called “Politics as Art” in which he talked about this, but we’ve asked—I’ve asked—that Helga LaRouche address us today as we go into that later event from the standpoint that there’s a need that Americans have to consider a completely new, if you will, cultural and intellectual platform for their behavior in politics. She has worked for over 30 years to get this point across to Americans, and I thought it was an important point to be made to all of us prior to those activities. It’s always my honor to present Helga LaRouche; and we will hopefully have some time for questions and answers. So, Helga? 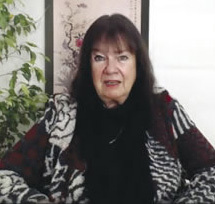 Helga Zepp-LaRouche: Yes, hello; good day. I think everybody is in a state of enormous tension, because the world is not in a safe place yet. I watched yesterday the live press conference, supposedly the last press conference of President Obama, and what he said there was really incredibly evil. Because he claims that they have evidence—no, he didn’t even claim that; they said that Russia had hacked the DNC’s and other computers and interfered with the election process in the United States. Up to the present moment, there has not been any evidence presented. Then he threatened actions against Russia in retaliation; both obviously open, but also hidden, but that Russia would find out what the message was. That is a rather unveiled threat; and there is a real hysteria on the side of those people who lost the election. Hillary today came out and said basically that Putin’s interference was his personal revenge, because Putin didn’t like what she did as Secretary of State. It needs to be stressed that a very respectable group, the Veteran Intelligence Professionals for Sanity (VIPS), including such people as Senator Mike Gravel and Ray McGovern, put out a statement that their long years of experience as cyber security experts caused them to look at these emails, and that they have no doubt that these were not hacks, but leaks like the kind of leaks Edward Snowden and Chelsea Manning had done from the inside. Anyway, there is a big hype, and I think we should be very aware that this is very dangerous. 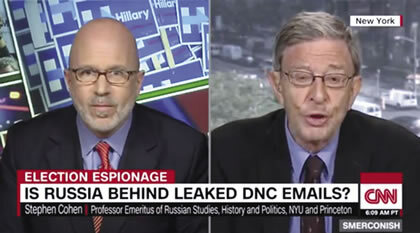 Prof. Stephen Cohen of Princeton (right) sees the charges against Russia as an attack on Trump’s plan for a policy of détente with Russia. A confrontation with Russia, with China, is the other thing that could happen between now and President-elect Trump actually taking office. The recent developments in the South China Sea speak to that. We are not in a safe world by any means. The hysteria about the so-called “fall” of Aleppo, as it is being characterized by the media, is not less. Here you have a military solution to a problem which it was obviously not possible to solve politically; among other things, because of the sabotage by the United States of the talks in Geneva. So, the military option was the only remaining one; and now people are liberated. People should be happy that ISIS has been suffering a terrible defeat. I am pointing out that this incredible spinning of events shows you that we are not in a safe situation by any means. In the United States, but also in Europe, people can almost be separated into two groups: First, those who have not yet recovered from the so-called “shock” of the Trump election. These are the people who believe in geopolitics, in globalization—people who believe in the present system, which has brought the world to this point. Then you have those who are very happy that Trump won; they hope that he will stick it to Wall Street. But we have to see whether he will do it, given his Goldman-Sachs appointments. And we have to see whether he will stick it to the establishment in general. I reference these circumstances very briefly, because I don’t think that either of those mindsets—neither the people who are freaked out about Hillary losing, nor those who say that Trump will stick it to the establishment—is adequate. We have to introduce a completely different level of thinking into the political process, which is why the performance of the Messiah and a long series of other concerts is so extremely important. We have discussed this many times, but I will say it again. Why is Classical art and Classical music in particular so absolutely crucial if mankind is going to get out of this crisis? The problem is, and I think most of you agree, that for many years—almost 50 years since the assassination of John F. Kennedy and the cover-up of his murder—the paradigm of the Western world and especially the United States has led to an incredible brutalization of the population. And many people are not happy about the future. Life expectancy in the United States is going down for the first time in a very long time; there is simply no better indicator for living standards and well-being of a people than life expectancy. If life expectancy goes down in a civilized nation, that is a sure proof it is in a full crisis and in decay. Now, how do we get people out of this? How do we get people to be their more noble selves? How do you get people to a more elevated level of thinking than just saying, “Let’s hope Trump will stick it to them”? Because that is still an emotion of anger, frustration and so forth. The problem is, we have discussed in these meetings many times that the oligarchy rules over society by reducing people to beings of just feelings, emotions; and they are very good at manipulating these emotions. That people are angry; that people are depressed; that people have rage; that people have joy in decadent pleasures. All of these are tools of the oligarchy. When man is on that level, he is not truly human. The first thinker who really described this very effectively was Plato in his famous cave allegory. He said the people who only believe in their emotions are like those who sit in a cave where they see only dimly-lit shadows of events which take place outside of the cave; and they take these shadows for the real thing. People who only believe in sense certainty, they have different forms. For example, monetarism is one such form of believing in the senses. Or utilitarianism, that only what is useful is valid. Or nominalism, positivism. There are all these varieties of “isms,” but they basically mean that people are not really thinking. 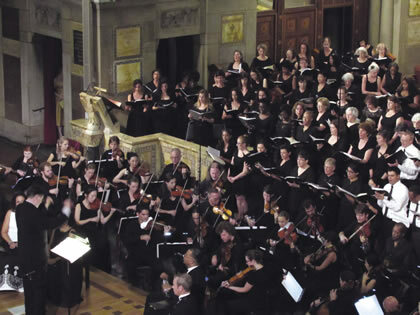 Schiller Institute performance of Mozart’s Requiem in Manhattan on Sept. 10, 2016. Great Classical art opens the way to understanding real principles, those principles which are behind the sensuous appearance. And it enables one to learn how to become truly free. That is a quality which has been a very rare commodity in these periods. That people really have inner freedom; that they have their own judgement; that they develop their inner voice; that they learn to listen to their inner voice—you can also call it conscience. It is generally great art which allows people to develop that quality in a playful way. Because when you are looking or listening to great art, this is not the seriousness of real life; this is like the existential in that sense. But you can study the process of creativity in a playful way. I think it is extremely important that we not forget that mankind must make the jump to a completely new paradigm, in which we are not just thinking about one nation. Trump has promised “America first.” Well, that may be a good antidote to what has happened with this so-called globalization up until now. But what is required is a completely different thinking, which is why I like Friedrich Schiller so very much. And why I think his ideas provide such a richness of concepts that we need to get to the New Paradigm. Schiller, for example, said it is not a contradiction to be a patriot and a world citizen; I think we have reached a state in human history in which we must establish that no nation can express a self interest if it is in contradiction to the goals of humanity as a whole. Therefore, this quality of becoming a world citizen while loving your nation without contradiction is something we have to introduce into this debate. Only then can the American people join in the New Paradigm of the New Silk Road for common goals of humanity—for the community of destiny for the future of mankind, as Xi Jinping always describes it. I think that Schiller is very important for another reason, and that is that he—under the terrible collapse of the French Revolution leading to the Jacobin terror, the killing of people through the guillotine—he was completely appalled. Schiller, in reaction to this Terror and associated developments in France, wrote the Aesthetical Letters; where he basically said that the only way you can have an improvement in the political life is through the ennoblement of the individual. Now, I know that that is not exactly what people think about politics; and they don’t think about—the only way mankind moves forward, is that each of us; you, me, everybody ennobles themselves or tries to do so throughout their entire life. I think the idea of mankind which Schiller developed, is the notion of the beautiful soul; because I think that it’s the key to a lot of things. 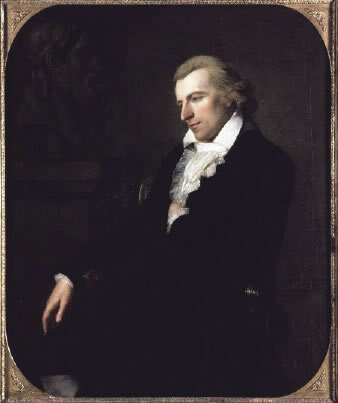 Schiller’s idea of the beautiful soul is the soul of a person for whom freedom and necessity, passion and duty, are one. I think this is a concept one has to think about, because freedom and necessity—what does it mean? It means that, no matter what the circumstances of your life are, you do what is necessary, not only for yourself and your family, but for mankind as a whole—which may have different shapes and different requirements at different times. Right now, it means to bring the United States into the paradigm with the rest of the world and overcome this terrible danger of a confrontation with Russia and China, which would surely mean the extinction of civilization. Now, what does it mean to find your freedom in what is necessary? I want you to think about it, because most people have not thought about it, and it is the key to being truly free. Freedom does not just mean the absence of chains and the absence of constraints. It means that you are completely a self-determining person, and that at the same time, you do your duty with passion. You are not a Kantian who says, “Oh, I have to do my duty and therefore I’m truly sour; but I’m a moral person and I’m doing what I’m supposed to.” You see many such people, but you have to joyfully do what is necessary. That requires the education of your emotions so that, as Schiller demands, you can always trust them blindly, because your impulses will never tell you anything different than what Reason would command. That is a high standard, but I think it is absolutely possible to accomplish it. It is great Classical art which is the field where you can rehearse what this requires. Schiller, in the very interesting piece of drama which he wrote which used a Classical Greek example, namely The Bride of Messina, he wrote an introduction where he discusses the function and the power of great art. He says when people listen to a great piece of art—in that case, he talked about the Greek chorus; not the musical chorus, the chorus in the Greek drama. He said that when people are exposed to this, it sets a power free inside them—a power which sets people truly free, internally free. And that freedom remains even when the performance is over. Some of you have experienced that already, during the great celebrations on the 15th anniversary of September 11th, with the performances we had in four churches in New York. Obviously, this is a very precious gift which we have to really fight to make the more dominant culture. I’m perfectly happy to give the President-elect a lot of credit that he will do interesting things; at least half of what he has posed will come true, namely renewing the relationship with Russia and China and putting it on a good basis. And that would be gigantic. 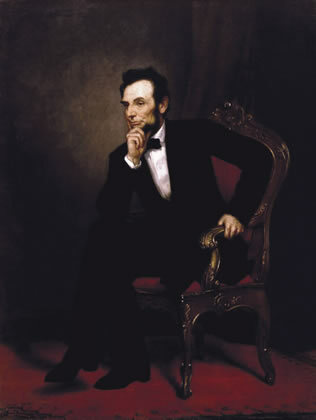 Painting of Lincoln by George Peter Alexander Healy (1869). But I have the most severe doubts that this question of a Classical education and the aesthetical improvement of man can be expected from this Trump administration. But it is the absolute necessary requirement to make America great again; which he has promised. I think you need a kind of spirit of ennoblement, of the sublime; and that level you do not find in any of the utterances from the Trump side. At least, I haven’t heard anything even close to that. But you have heard it from such people as Benjamin Franklin, as George Washington, as Alexander Hamilton, John Quincy Adams, and especially Lincoln. If you think about the Gettysburg Address, and the beautiful spirit which is expressed in that, that is the mindset—not in the predicates, but in the spirit—which people should be at all times if they are truly free. Q: Good afternoon. How are you? This is Jessica from Brooklyn. First I wanted to say that I’m very glad that we’re having this meeting. I was a little worried about attendance; people coming with the snow and rain and this and that. It’s a little earlier time, but I see that we have a nice group of people here; and I’m glad to be here, and I’m really happy that you are addressing us and changing the way we’re thinking about going forward with making what we want to happen really happen. With this situation Obama did the other day, yesterday, his speech and all that; I saw that. I just wanted to say that, first of all, that I’m very happy that you’re here addressing us; and I think everyone in this room is. My question is not so much an actual question, but I’m a teacher and I’m seeing a lot of different things happening in my school and in my union. People, like you said, are tense; there’s some hysteria going on. There’s a lot of stuff happening. Would you comment please on what you feel a Classical education is. In many different ways, we can talk about education; we can talk about the actual subjects, the intent of what education should bring about. I’ve been thinking about that in watching other people—my parents, my fellow teachers. So, if you could please comment on what you feel we should be doing, or what should be meant by a Classical education? Zepp-LaRouche: Obviously, my husband Lyn is somebody who has developed that method in many ways. There is a great reference in Germany, which has—apart from my husband—developed the best education system I know of, and that’s Wilhelm von Humboldt. Not only did he design the German education system and university system, but in the 19th Century, there was not one professor in the United States who was not either educated by this method or by somebody who had studied it in Germany. The influence of Humboldt in the 19th Century in the United States was tremendous. The reason I think he is still extremely important today, maybe more than ever before, is that he defined as the goal of education not any particular skill. He said if you learn how to learn, you can improve your skills throughout your life. What he defined as the goal of education is the beauty of the character. I don’t know of any school today that has a goal that the end result of the pupils going to the school should be that they have beautiful characters. But if you look at the violence, the meanness, the brutality, all of the behaviors people retain—especially in the schools, where many teachers are afraid of their pupils; this is a common phenomenon these days. The idea that the end goal should be a beautiful character, I think is more important than at any time before. Schiller was a close friend of Humboldt, and shared these ideas, but Humboldt had a very clear idea of how you reach that goal. He said that there are certain subjects which are more suited than others to have this effect of developing all of the potentialities that are in a young person into a harmonious totality. He said, first of all, you have to have a command over your own language in its highest expressions. Obviously the highest expressions of your own language are the most beautiful Classical poets, because they can express concepts which you just do not find in prose. There is a big difference between lyrics and poetry, and prose; because lyrics and poetry force the mind to access those higher levels where new concepts are formed. Naturally, you cannot think what you cannot express in words; and therefore, the study of the best examples of poetry is the key to all other subjects. If you don’t have the language,— Britney Spears once proudly said that she has a vocabulary of only 80 words. That obviously limits the amount of what she can think. 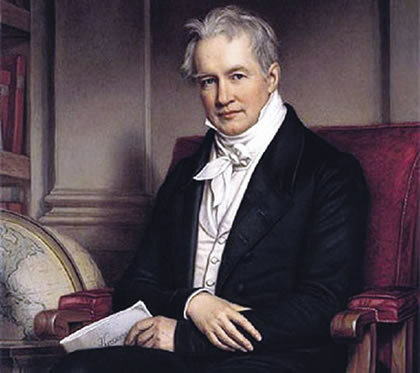 Humboldt then also said, you have to study universal history, because only if you are able to place your own identity and your own life in the context, not only of the history of your nation, but in the history of universal mankind, can you find the right place. Schiller expressed that you have to connect your dwindling existence, which is short because people live a very short time, to the long chain of generations before you and generations after you. And that is what gives you your identity; it makes you grateful to the generations before you and gives you a vision of what you have to contribute to make better generations after you possible. Then, naturally, come geography, music, natural sciences, other languages. So I think to really go with the Humboldt conception and to reintroduce Humboldt would be such an extremely important start because it is not just science, it is not just art as such, but it is the combination, the two things absolutely have to go together. Because scientists and artists are the only two professions, so to speak, that believe in universal principles. Natural science—physics, biology, chemistry—these are areas in which, if you make an adequate experiment, you can repeat it anywhere around the globe. If you find a discovery in the United States and if it’s a true physical principle, any Chinese or any African can repeat it in Africa, or in Luxembourg, or in some other place, because it’s a universal principle. 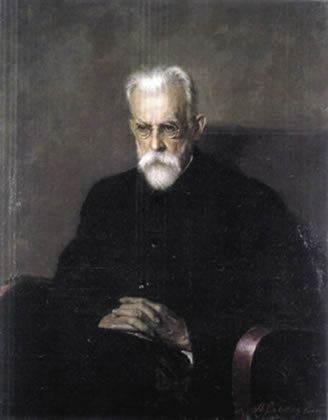 Portrait of V.I. Vernadsky of the Russian Academy of Sciences, Moscow, hanging in the Institute of Geochemistry and Analytical Chemistry named after him. And the same goes for great Classical art, but especially music, which is why you find in orchestras, people from all over the world working together, performing a concert, and you don’t even notice that they come from different countries and cultures, because they have one universal language. So science and music in particular are really important, because they free you from opinion, they free you from the liberal notion that “my opinion is as good as yours,” which is commonplace now. People don’t accept the idea that there is truth and that you have to be truthful; people say, “it doesn’t matter, what I think is as good as what you say, and therefore, there is no criterion for truth at all,” which obviously prevents people from finding this key I’m talking about. The future paradigm will mean that people think like creative scientists; that’s why Lyn puts such an emphasis on individuals such as Vernadsky and Einstein. And naturally, thinking like Beethoven, thinking like Mozart, or Handel for that matter, that is what truth is; that’s how you can find truth. And I think for the children today who are so—you know, the children today have almost no chance, because if they look at TV, if they play games using PlayStation, they have no chance to have this love for truth. So I think that would be the most important to accomplish, because once you accomplish that, they start to seek truth and become truth-seeking people, and then it’s the key for everything. I remember, this must be back in 1986, at a conference where some of us of the Schiller Institute were, you made the point that the great poet of the United States is Abraham Lincoln. And you also referenced it earlier, and in your conclusion to us, I just want to ask you—if you would—to tell us why you say that, why you think that, and how you think we might be able to use the example of Lincoln, particularly now with this new Presidency, and this new opportunity? Zepp-LaRouche: It is because Lincoln has this quality of noble thinking. And if you study what he said at various points, you find that quality. And in a certain sense, it is this idea too, which is expressed in the Gettysburg Address, in particular, that you cannot just think for the moment: You have to connect your personal life with what others have contributed—you can live the way you live because of all your ancestry, and you have the idea that you, with your life, contribute something so that mankind is richer when you are no longer here, because of what you have done. That quality, which is sort of a Good Samaritan impulse,— that is what Schiller called the Good Samaritan, who does the good without thinking what advantage he may have, or what’s in it for him; none of these thoughts enter your thinking. And at the same time, you have a vision for the future, and Lincoln surely had that. So in one sense, he may have been the greatest President of the United States, and he is the measurement for any President from now on. Speed: That’s certainly a worthwhile task for the Manhattan Project to take up, it’s a good way for people think about what we’ve got to do today as well. Thank you very much Helga, and you’ll be getting a report some time tomorrow morning on our work with the Messiah down in Brooklyn. Megan Beets: Those of us alive today are presented with an incredible opportunity, which is the opportunity, though not the guarantee, of leaving for the next 50, 100, perhaps thousands of years ahead, a new paradigm, which has never existed among mankind before, a new system established based on the true nature of mankind. And you think about the implications of that, that means that the empire system is over forever, relegated to a past and long-dead, never-to-return era of mankind. This is a very challenging idea. It’s a very big idea. And it’s one that those of us assembled here, and everywhere, should take up as our mission, for the rest of the time allotted to us on this planet. Now that opportunity presented us, to establish a new paradigm, obviously comes with a great responsibility, and I want to go back to the quote from Martin Luther King that Dennis read at the opening. He said that “Mankind can think of a great civilization and produce it.” So, upon what principles do you base that civilization? What is the most truthful notion of the nature of mankind that we can strive for, upon which we will be confident in establishing this new paradigm? The human mind is a completely unique form of existence, on this planet, and anywhere else in this Universe, as far as we are aware. Human beings are a form of life which can study the Universe, which can confront paradoxes, which can confront problems which challenge our knowledge, and which can imagine solutions, which can imagine notions of a principle which is generating the kind of paradoxical effect we see in the Universe. We can imagine solutions to scientific problems, and generate them from the human mind, and these notions are so true, that they allow human beings to exert a greater power over nature than we had before. That’s an incredible form of existence. As an example of what I’m referring to, we’ve never seen an atom. We’ve certainly never seen the nucleus of an atom; no microscope can image for us, the nucleus of an atom. And yet, our vision of the organization of the atomic nucleus is so close to nature, that with this notion, with this idea, we are able to split the atom; we’re able to fuse atomic nuclei to create new elements; we’re able to create fusion plasmas, manufacturing new elements, breaking down current materials, and exerting a finely tuned control over nature, that allows us to first of all, unleash enormous amounts of power and energy, to generate electricity, to generate explosions for infrastructure construction; but also allows us to fine-tune materials like steel, to create steels that are stronger than anything we could have produced from purely natural elements. The most inspiring notion that’s given us the most inspiring power over nature, up to this point, for me, is Johannes Kepler’s poetic notion of the planetary orbits; his poetic notion of the Solar system. Because that has allowed us, to create artificial orbits, intentionally, to put satellites into orbit and to put mankind into orbit. And for me, it’s mankind’s potential to leave this planet and bring that process of creativity to other bodies of the Solar system, to begin improving them, bringing them to a higher state of organization than ever before; giving them a new meaning in the Solar system, something they could not have had without the presence of creative life, in the form of human beings. To me, that’s the most inspiring power over nature that we’ve achieved up to this point, and it absolutely defines something which is the common aims of mankind. Mankind on this planet must unite in our scientific capabilities, our scientific insight, and our economic power to get mankind off of the planet, out onto the Moon and to Mars beyond—and we’ll see when we can get beyond that. We must come together to establish this new era of mankind.